Parcellite is a very simple clipboard manager. It comes with an absolute bare minimum set of features, thus making it a lightweight application with a focus on simplicity and productivity. 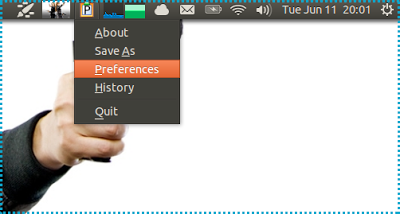 As you can see in the image above, Parcellite comes with quite a few options such as choosing the clipboard size, saving the history, changing key bindings and so on.